Had a great time meeting and interviewing ZX Spectrum industry veteran Jas Austin down in that there big smoke, London. 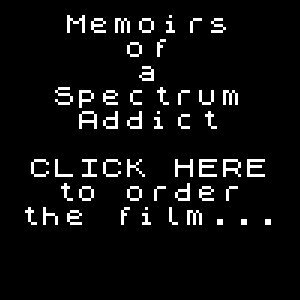 Jas came to prominence as an early game developer at AUTOMATA UK, one of the Spectrum’s pioneering publishing houses and run by the enigmatic Mel Croucher. Jas worked on early titles such as Pi-Balled and Pi-In ‘Ere, before progressing to gorgeous 2000AD licenses Nemesis the Warlock and Slaine, and other famous notables W.A.R., Tarzan, The Fury, The Planets, Altered Beast and of course, the brilliant and much-loved Rex, starring a Rhino-Sapiens. This was an extremely fun interview (as were all of them! ), and Jas is nothing but a consummate professional and gentleman! Thank you Mr Austin for your time!